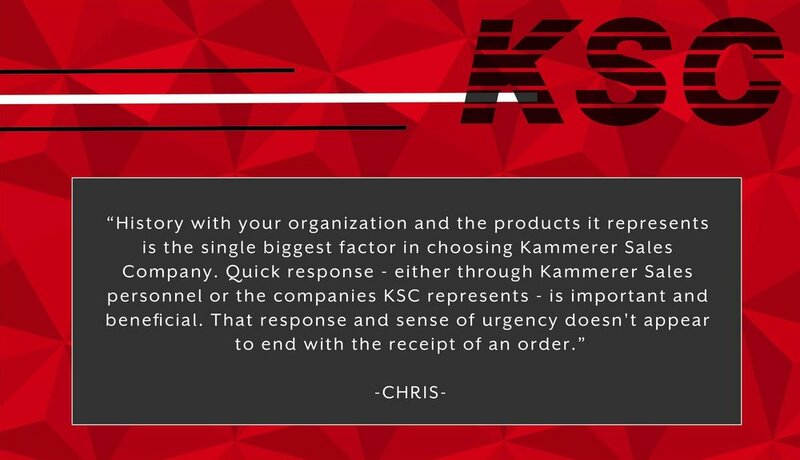 Kammerer Sales is celebrating our 60th Anniversary this year which shows the true strength of our organization. To be in this business for this long proves we are doing something right. That something is giving our customers the best products, knowledge of those products, with the best service at a fair price. Our staff has over 90 years of combined experience and with that comes a vast knowledge of manufacturing solutions. Our enthusiasm to help our customers through difficult applications is what has set us apart from our competition. If you have an application, we have the solution.